Having already built and painted a Leviathan dreadnought for the Imperial Fists, I knew I had to have one for my Iron Hands. 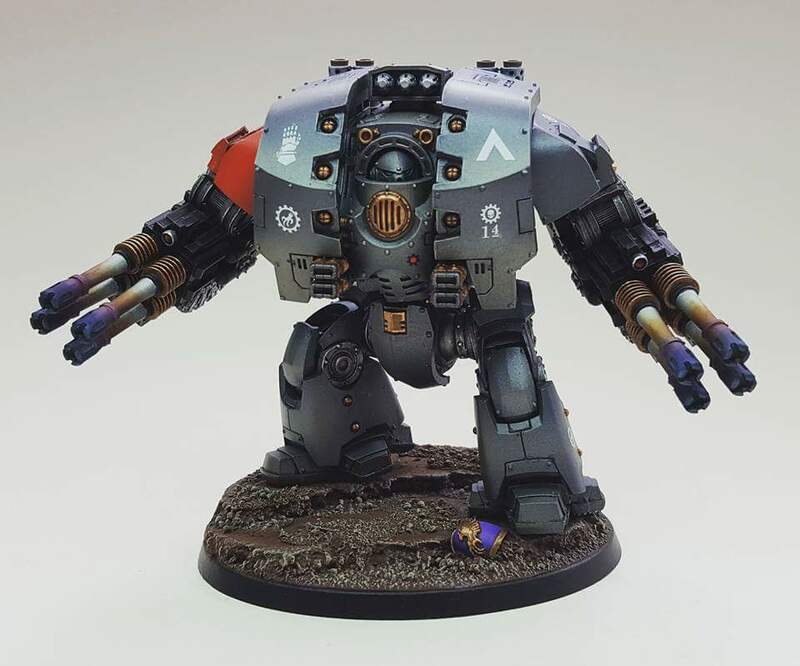 I decided to eventually have a full Leviathan Talon with this being the first, so I magnetised the arms to allow the changing of weapons. After submitting this picture to White Dwarf magazine, I was honoured to have it published in the April 2017 edition. It’s a great feeling to have my work in the magazine to be seen by all. Previous Previous post: Iron Hands Terminator Command Squad.